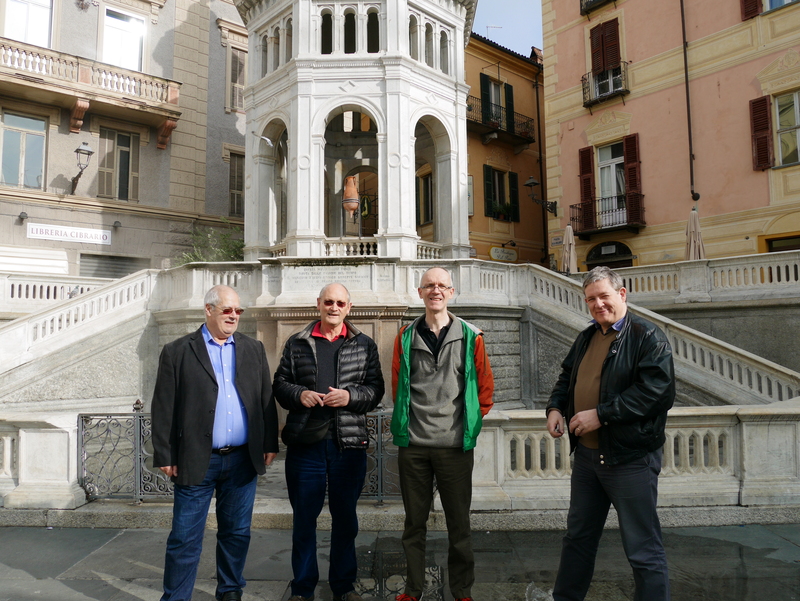 Five intrepid Scots headed out to Italy for 11 rounds of chess at the World Senior Championships in Acqui Terme. Leading the group was IM Craig Pritchett as well as Jonathan Grant, IM Stephen Mannion, Jim Webster and Alastair Dawson. The ‘youngsters’ Jonathan and Stephen were entered in the 50+ event while the other three ‘old gits’ were entered into the 65+ championship. Alastair was the ‘baby’ of this group having reached his 65th birthday just 3 weeks earlier. Players from 57 nations took part, 105 were entered in the 50+ of which the top seeds were GMs Granda Zuniga and Khalifman. In the Womens 50+ tournament the top seeds were WGMs Elvira Berend from Greece and Galina Strutinskaia from Russia. In the Mens 65+ championship 174 players took part led by GMs Evgeny Sveshnikov, Anatoly Vaisser and Eugenio Torre. In the Womens 65+ the top seed was legendary GM Nona Gaprindashvili from Georgia. With entrants from so many countries and with each player having years of tournament chess experience behind them it was guaranteed that there were no easy chess games to be had with all possible opponents likely to be as tough as nails. Round 1 concluded with wins from Craig, Jonathan and Alastair, the latter having the best of starts against Arno Nikel (2125) from Germany. In Round 2, Stephen and Jonathan gained important wins, Craig drew while Alastair and Jim both lost. There were setbacks for Jonathan and Stephen in Round 3 and draws for the others. By the morning on which Round 4 was to take place, feelings were mixed. On a fine sunny morning and with each round starting at 2.30 in the afternoon, team Scotland went on a restful walk along the riverside. Jim had a stomach upset that was getting worse by the hour, there was a lot of general blethering and banter. By the end of the morning we were all invigorated, glad of the fresh air and ready to face whatever our opponents could throw at us. The effect on Stephen was electric. He immediately picked up a win and then continued undefeated for the rest of the tournament. The rest of us gained creditable draws. But for Jim it was the end of the tournament and on doctor’s advice he headed home to Scotland the next day to make a proper recovery. With our team down to 4 we battled on. In Round 5 Craig was the only one to win, Stephen drew while Jonathan and Alastair both lost. Round 6 was more of the same, this time with Stephen picking up the win, Jonathan and Craig both drew while Alastair was finding it tough going and lost again. With such an arduous tournament of 11 rounds there was then a rest day to recover lost energy and recharge the batteries. The break must have done us all good because we came out in Round 7 playing some fine chess. This time Jonathan and Alastair recorded wins while Stephen and Craig picked up draws. But in Round 8 it was Craig who gained the full point, Stephen and Jonathan got the draws while Alastair slipped up. We then entered the cutting edge of the tournament. It was clear that Craig, Jonathan and Stephen were playing well because they had started to play regularly on the live boards on the top tables at the top of the hall. Team spirits were high. Each morning we would meet in a local coffee shop, have our cappuccinos while Jonathan had his strange gloopy looking and unpronounceable chocolate drink. Then we would venture outside, some final preparation, a spot of light lunch and into the tournament hall. Our last 3 rounds were magnificent. Out of our 12 games played we lost only one. In Round 9 there were wins from Jonathan, Stephen and Alastair and a draw from Craig. In Round 10 Craig recorded his only loss of the tournament, Stephen and Alastair both won again while Jonathan drew. Then in the last round, a draw from Alastair was topped by final round wins from everybody else. In this round, Stephen had the most miraculous wining sequence of moves over Jhunjhnuwala from the United States. So how did everything finish? In the 50+ tournament, GM Granda Zuniga dominated the field and became World Senior Champion with an impressive 9.5/11. Jonathan started the tournament ranked 43rd but finished an excellent 14th place with 7/11, a tournament performance of 2265, and a nice Eurocheque. Stephen put in a whirlwind performance after his shaky start. He started ranked 17th but charged through the field to finish 10th with 7.5/11, a tournament performance of 2133, and an even bigger Eurocheque. 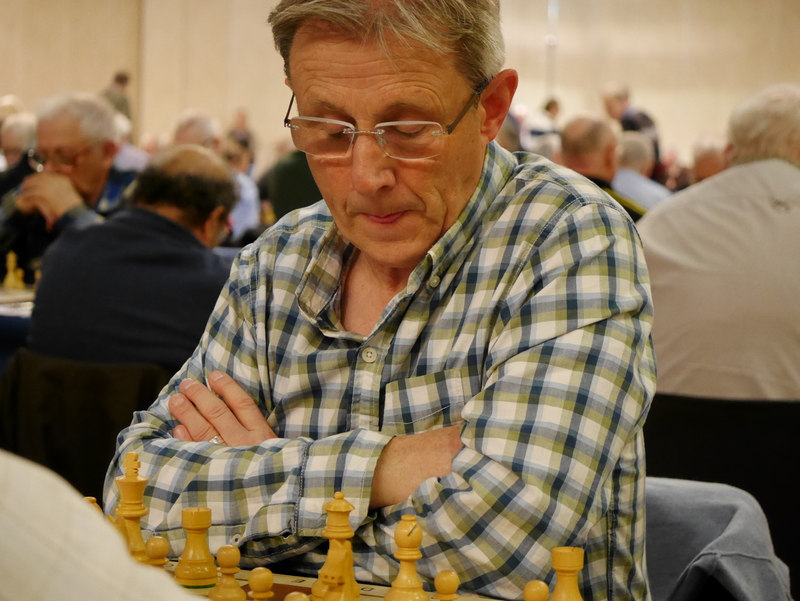 In the 65+ tournament, Evgeny Sveshnikov became the World Seniors Champion sweeping nearly everyone aside and winning with 8.5/11. Craig, who enjoyed the tournament and, as ever, the international camaraderie, played well in parts, especially in the opening and middle game, but was dissatisfied with his sub-par rating performance, which he explained was in large part due to serious failure to convert clear, even winning advantages, at the critical stages in three or four of his games. He started ranked 23rd and finished 25th on 7/11 and a tournament performance of 2219. Alastair had a good time. He started ranked 144th but finished in 90th place on 5.5/11 and a tournament performance of 1950. For this he won the U1800 rating prize, also a nice Eurocheque plus a glittering trophy. So a great time was had by all. Italy is always a wonderful place to visit. We were looked after well by our hosts, everyone very friendly and welcoming. Jim has now made a full recovery and back working on his duties as Chess Scotland President. For the rest of us, it is back to the dreich weather of a Scottish winter. For all those aspiring to soon becoming 50+ as well as those who are already bona fide ‘old gits’, the World Seniors Chess Championships come highly recommended. For those who may be interested, they will be held next November in the stunning town of Bled in Slovenia.